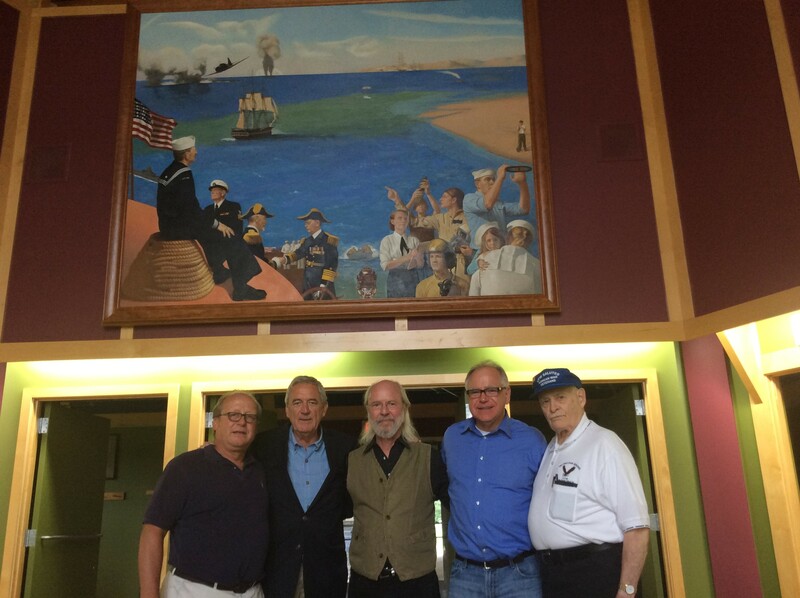 As part of a visit to the Brainerd region, Congressmen Nolan and Walz were granted some one-on-one time with artist Charles Kapsner and Veterans Educational Historic Project committee members Phil Ringstrom and Joseph Schirmers, VFW State Chaplain. Kapsner noted that they were able to converse more about the project and share ideas for more outreach. 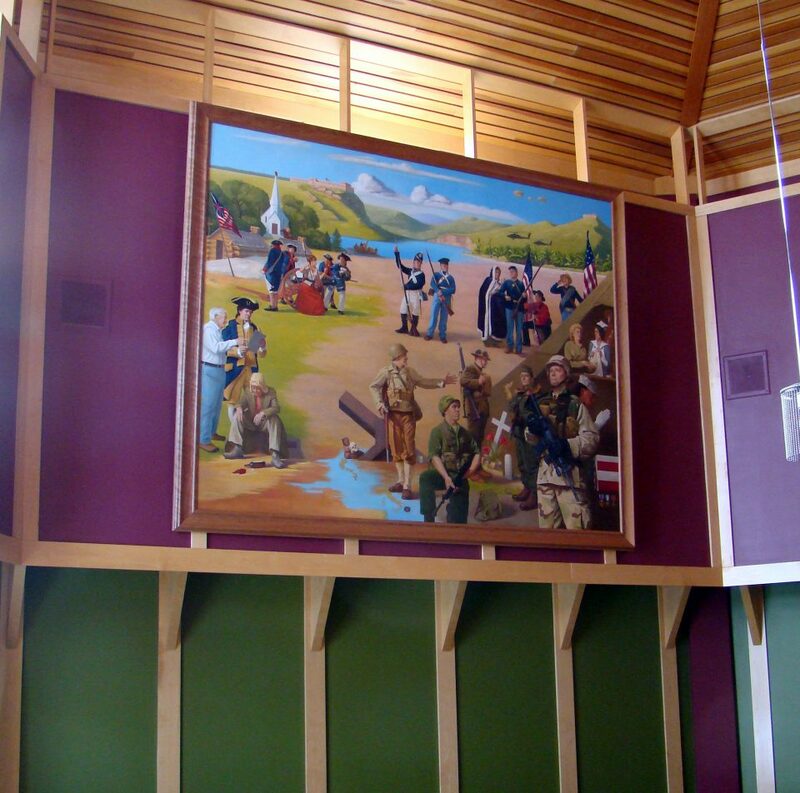 “It was a great honor to have them both take time out of a hectic schedule and see the paintings”, Kapsner said. Congressmen Rick Nolan and TIm Walz in front of the U.S. Navy painting. L-R, Phil Ringstrom, Congressman Rick Nolan, Charles Kapsner, Congressman Tim Walz, and Joseph Schirmers. By vetsart in Uncategorized on August 24, 2015 .